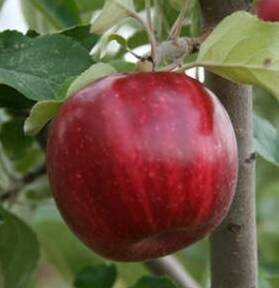 Description Discovered by Jeff Campbell of Peters Orchards in Waverly, MO and available through license agreement with International Plant Management, Chrisolyn® is a promising new strain of Jonathan. Fruit develops a strong stripe and an early coloring feature not previously observed in other Jonathan strains. 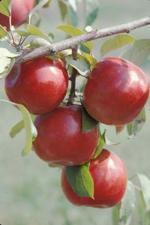 Flavor and texture are tart and crisp, and the fruit has held up very well in storage tests. Harvests with other Jonathan strains. 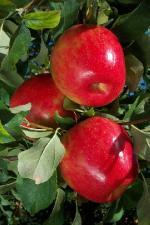 Pollination Information Chrisolyn® Jonathan blooms in mid-season and will pollinate all other early blooming apple varieties, varieties blooming in the middle of the season, and also varieties blooming late in the season.